FRANCESCO CLEMENTI is Associate Professor in the field 12E2 (IUS/21, Comparative Public Law) in the Faculty of Political Sciences, University of Perugia.He was researcher in Public Law at the same Faculty (2006-2007), and previously Research Fellow in Comparative Public Law in the Faculty of Law of the University La Sapienza, Rome (2004-2006), and PhD in “Theory of the State and comparative political Institutions” (Cycle XIV – 2003). In 1998, he won the annual Graduation prize by “Primo Levi Foundation”. 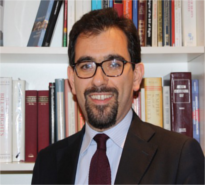 He is member of the Board of the Doctorate in Public Law (Università di Perugia) and professor of Italian and comparative constitutional law in the Master Program of the Institute for Defense Studies (I.A.S.D). He is component of the Working Group “Section Constitutional Law”, chaired by Prof. Jean Massot and Prof. Philippe Lauvaux, the “Societe’ de Legislation Comparee”.